Starting on a cloud migration journey often places organisations in a rut. How do should my organisation classify data? Can I be sure about privacy? How about offshoring data? Which cloud services should my organisation invest in? These are some of the commonly asked questions Australia’s Digital Transformation Agency (DTA) receives. 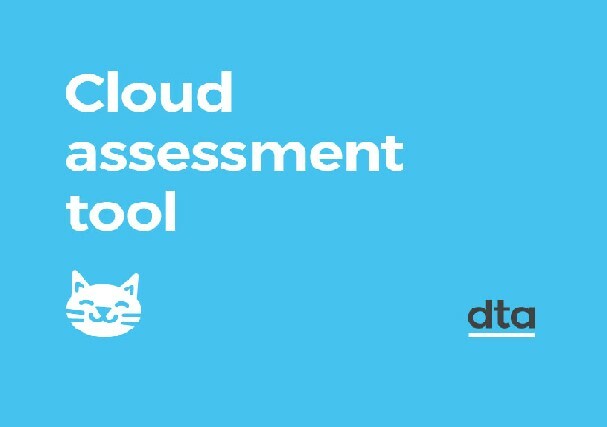 To help deliver simple, clear and fast public services, the Agency has rolled out a Cloud Assessment Tool (CAT). CAT helps government agencies in the Commonwealth self-assess if a cloud service is suitable for a specific business context. The tool considers relevant compliance, commercial, operability, support and security requirement which are needed. Through the service, agencies are pointed toward the right direction. Neither a standardised or objective assessment of a cloud vender of service, CAT is a guide to help agencies understand what qualities are most important for their needs and any relevant compliance obligations. The journey to CAT was not a straightforward one. DTA began by running user research. Their findings showed that agencies struggled to understand compliance obligations, impeding them from adopting cloud. Cognisant, DTA has included it in the Secure Cloud Strategy. Keen on understanding the situation on the ground, the DTA ran one-on-one sessions with compliance experts. Following a series of prototyping and iterating, they found that an assessment tool would be the most effective solution to help agencies. CAT was developed using the Australian Government Design System. The System provides a framework and a set of tools to help designers and developers build government products and services more easily. Hence, the System allowed DTA to create a service which was consistent with other government websites. More importantly, ensuring that the service is accessible by default. To get the CAT going, www.cloud.gov.au was used. The platform cancelled out many of the complexities needed to deliver a modern cloud-based services. For example, HTTPS by default, zero-downtime deployments and continuous delivery pipeline are factored into the offering. Through a series of questions, CAT asks a series of questions to help ignite conversations with the right stakeholders, owners of risk, and decision-makers within an agency. DTA thinks that the process of answering the questions is equally as important as the final result. Afterall, it’s the daily grind which determines the success of the outcome. One of the first questions is about the cloud service and how one’s organisation plans to use it. Granted, not all these answers will come naturally. A little bit of research is required to answer them. Help is available at hand with the information and links DTA has provided on the side. Hence, the user experience is as seamless as possible. If users need to check in with colleagues at a later time, they have the option of returning at a later time. Once the questionnaire is completed, CAT generates a report which may be shared with an organisation’s executives or decision-makers. What it provides is a traffic light style overview of risks that have been addressed, or questions which might require organisations to dig a little deeper. The tailored response highlights any mismatch between the cloud service and the organisation’s needs. Not to be left hanging, the Tool provides additional information to help users understand their results and even help them along with their next steps. Finally, CAT allows users to export and save reports. Hence, users may compare their assessments over time.